120 Days Same as Cash $370.00- Order Today Enjoy For Years. With a warm finish and classic traditional style the beauty of the Mattie Occasional Table Set from Signature Design by Ashley creates a casual inviting atmosphere perfect for any living area. The select inlay veneer is bathed in a smooth brown finish that flows beautifully over the styled table tops and shaped flared legs to create a shining example of rich traditional design. 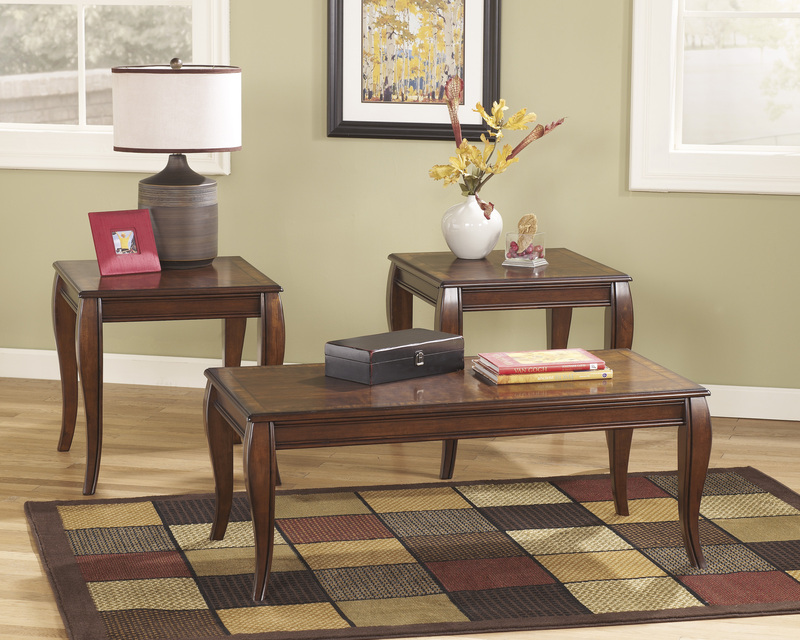 Warm the corners of your living environment with the classic beauty of the "Mattie" accent table collection.